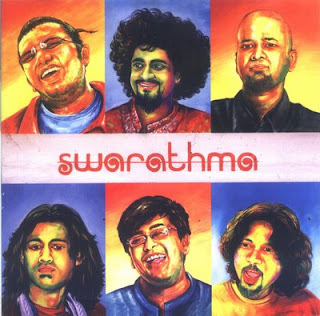 Bangalore’s Swarathma pack quite a punch with this, their debut album, which offers eight tracks that include a whole bunch of influences, but generally fall under the Folk banner. With dashing rhythms and some sharp guitars, the band ricochet the cream of the crop of Indian Folk/pop bands who have swaggered their stuff over the years, from Mrigya to The Raghu Dixit project. Meanwhile, there’s a quality to Swarathma’s sound that’s reminiscent of Indian Ocean’s early years. Opener ‘Jaana Kahan hain mujhe’ is straight forward, setting the scene nicely with blitzing guitars, but is perhaps a little forgettable. Next comes ‘Pyaar ke Rang’ where the band’s mix of genres is revealed. One moment vocalist Vasu Dixit is crooning soulfully like a remnant from the golden age of Hindustani Folk , and then suddenly everything picks up again, and Dixit is found going back to his pop avatar. So does it work? It certainly offers some motivating tunes which help keep Swarathma sounding bright for most parts of the album.